This Roary Annual is bursting with cool new cars and fun new friends, featuring 2 exciting new stories from the hit tv series! With padded cover and excellent foil finishes this Annual will make the perfect gift! Watch out for Roary the Racing Car and friends as they show you everything you need to know about life on the cool Silver Hatch Track! 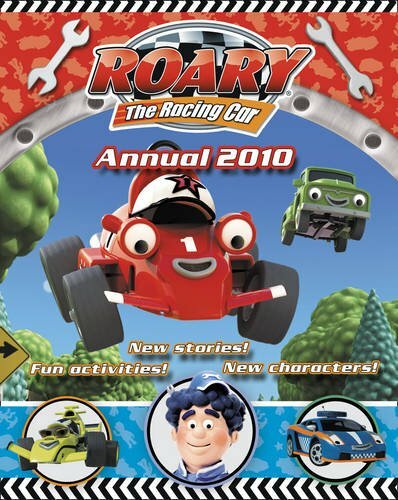 This Roary Annual is bursting with cool new cars and fun new friends, featuring 2 exciting new stories from the hit tv series! With padded cover and excellent foil finishes this Annual will make the perfect gift! Watch out for Roary the Racing Car and friends as they show you everything you need to know about life on the cool Silver Hatch Track! Filled with facts, racing games, jokes, puzzles, special Roary images, colouring, stories and more, this is the ULTIMATE Roary book! Introducing brand new characters from the exciting new series on Milkshake, Roary fans won't want to be without it!